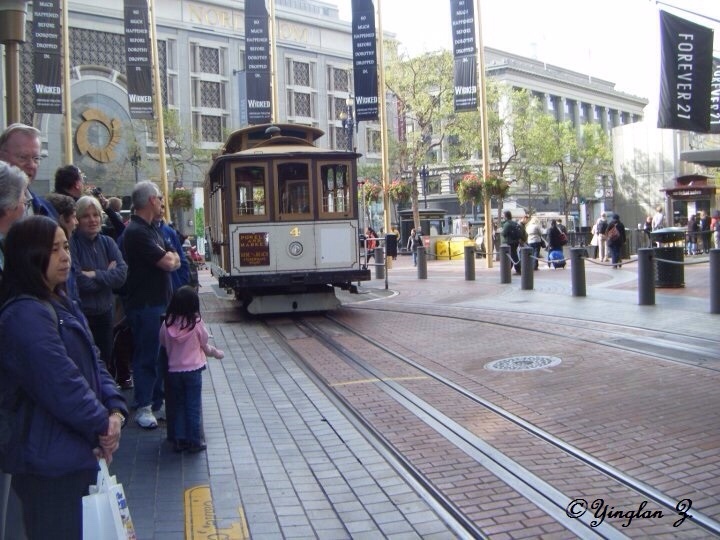 During our family vacation, mom told us one of the things we would do while in San Francisco is take the trolley car to go shopping. All of us children were looking forward to that. We had seen pictures of the trolley and thought it would be a lot of fun. When we got there, mom bought all the tickets and lined us up to board. My brother and I started play fighting which made mom mad. We were told we would have to stay at the hotel while she and the girls went shopping. Bobby and I went back to the hotel to our room and decided to spend the afternoon watching cartoons. When we turned on the television it informed us that we had to put money in in order to get any programs. Drats! We couldn't watch the television. It was a boring afternoon for me and Bobby. We ended up falling asleep and dreamed of riding the trolley. Thank you Yinglan for our photo prompt! 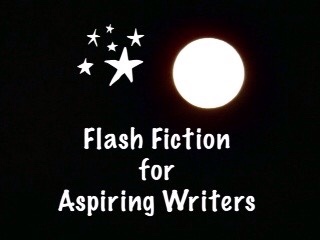 This is my 162 word story for the flash fiction challenge, Flash Fiction for Aspiring Writers. We are given a photo prompt and approximately 75-175 words with which to create our story. It's fun and everyone is invited to participate. For more information, click HERE. Thank you very much Moon! Aww, such a cute snippet of memory lane. Love the photo this week, PJ! Thank you so much Jade! I like the photo this week too. Childhood memories were revived by your post PJ… same yearning and dreaming. It seems like a lovely diary entry. Great One! Such a bummer for the boys! And no cartoons either! Yes, a bummer for the boys but at least they got a nap. Yes, especially when kids start fighting. Thank you Lynn!! Just got back from Phoenix. I went to my grandson’s graduation. Guess they learned a hard lesson! Thanks Joy! I went to Phoenix to see my grandson graduate. Dagnabit! Missed the trolley, I hope they got to go on one the next vacation (and I bet they were better behaved!). Good one Joy a moral about fighting as well..
Lovely little story. Childhood stories and dreams are no different from adulthoods. Except they are cuter and evoke sweet nostalgia. Loved this, PJ. Yes, that is true! Thank you Ali! Funny! They got their ride on the trolley after all! Maybe next time they will remember to behave and get to experience a real trolley ride. Cute story , Joy, and so real to life . Hahaha! You are right Jessie! They will know they have to behave next time! Reminds me of the many times I ha been punished and left back ……. Unfortunately we could not be such strict disciplinarians. Great story. Very cute story, true to feeling for the young ones! Thanks, Priceless Joy. P.S. I am really enjoying this challenge and the great group that you have here. This is my third week. Thank you. Thank you so much! I was away from the challenge for a few weeks visiting family. Sorry I wasn’t able to read your other stories but I will be able to from here on out. I feel bad for the little kids. I think mom just didn’t want to deal with them while she and the older girls shopped, it’s much easier without little kids. I was wondering how she could leave small children alone in a hotel, I’d be scared to do that before they are about twelve or so. As well, it’s terrible the TV didn’t work. You would think they would have a few channels free. Great story PJ. How is your new dog training going? Is she learning well? They were old enough to be able to stay with themselves. Mom could have not wanted to deal with them but I’m sure they will behave from now on. Sugar is training very well. I had to leave her with my sister for a week while I went to Phoenix to my grandson’s graduation and she was sure happy to see me! (haha! So was my sister!). She is just a very rambunctious puppy. LOL! Hahaha! I think it would be horrifying too. No, she isn’t use to all that energy in a tiny dog. She is a good little dog though. Yes, my grandkids are all starting to grow up. I had one graduate 2 years ago (from high school and he is now in college). Then I had one graduate last month. I have another one graduating next year and another one graduating the year after that. Then I have several years before the last one graduates. At least you get to visit and see your family more than. Maybe the grandkids will have cars to visit grandma and sugar once and a while? Yes, that is true! I sure hope they do make trips to see their Nana! 😦 This brings back memories. Yes, they got to ride the trolley in their dreams. LOL! Thank you Ameena! Yes, when we grow up we are going to ride the trolley, WITHOUT our mother! Hahaha! Lol!! and fight all you want too, right!! Right! All we were doing was playing! Geez!! !